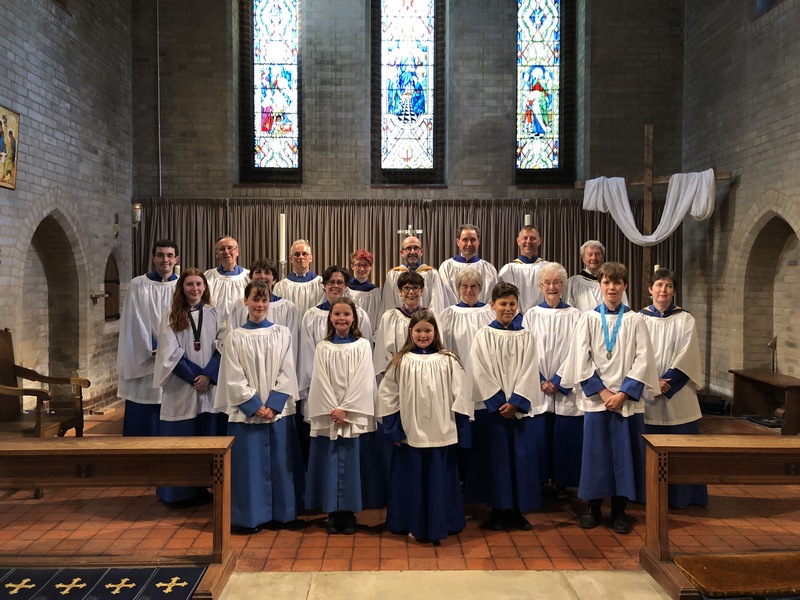 St. Mary’s has a very able and enthusiastic robed SATB choir who perform music covering a variety of musical styles from Renaissance Polyphony to the present day. Recent anthems have included: ‘A Hymn to St. Cecilia’ by Herbert Howells, ’The Lord is my Shepherd’ by Howard Goodall, ‘Look at the World’ by John Rutter, an arrangement of ‘Be thou my vision’ by Bob Chilcott and ’Rise Up, My Love’ by Healey Willan. The choir currently has twenty members, including six trebles, and each week for the Sunday morning Eucharist at 9.45am and on the last Sunday of every month for Choral Evensong at 6:30pm. They also lead many of the significant services throughout the church year alongside the occasional weddings. The choir is affiliated with the Royal School of Church Music. The choir welcomes new members, either on a regular or semi-regular basis. Choir practice takes place every Friday evening in the church with the treble practice from 7:30pm and the full practice between 8pm and 9pm. Do come along to a Friday evening rehearsal to find out what being a chorister at St. Mary’s is all about; you will be made most welcome! David Thomas is the Director of Music at St. Mary's Church in Sanderstead. He directs the choir for the weekly Choral Eucharist and monthly Choral Evensong services. David also provides tuition to numerous students for organ, piano and music theory. David grew up in South Croydon, taking up organ lessons during his time at Caterham School. He went on to study music and graduated from the Royal Academy of Music in July 2016 with an MA in Performance. He was also awarded the Stephen Bicknell Organ Prize. Whilst at the RAM, he studied organ with David Titterington and Anne Marsden Thomas and regularly participated in masterclasses with visiting organists. He also studied organology with William McVicker, improvisation with Gerard Brooks, harmonium with Anne Page and choral conducting with Patrick Russill. In 2016, David became the first recipient of the Dame Gillian Weir Organ Scholarship at the Royal Festival Hall. David has also held the Organ Scholarship at St. Martin-in-the-Fields in Trafalgar Square. David became an Associate of the Royal College of Organists in February 2016. He also holds the Licentiate of Trinity College London in Organ Performance and the Diploma of the Associated Board of the Royal Schools of Music in Piano Performance.